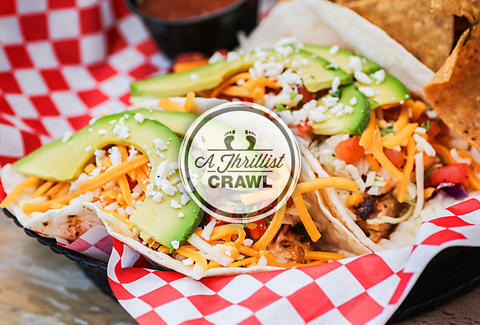 You're going on a fish taco crawl! Whether you like yours grilled or Baja-style, on flour or corn, covered in hot sauce or maybe just a little pico, one thing San Diegans can all agree on is that we love us some fish tacos. Everyone has their favorite spot, but you know what's even more fun? Having seven favorite spots. So put on those stretchy pants you usually wear while watching Chopped and get ready, San Diego -- you're going on a fish taco crawl. 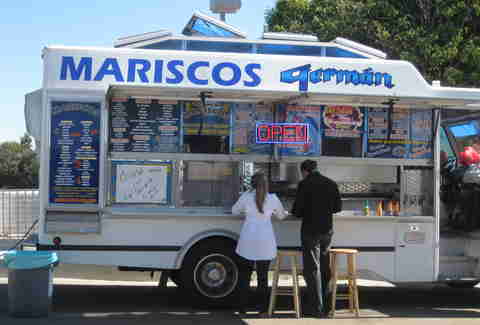 Stop 1: You can’t miss the Mariscos German Taco Truck -- just look for the mob of people in the Gala Foods parking lot on Fern and Grape. Order yourself a fish taco and get a free cup of fish soup while you wait. 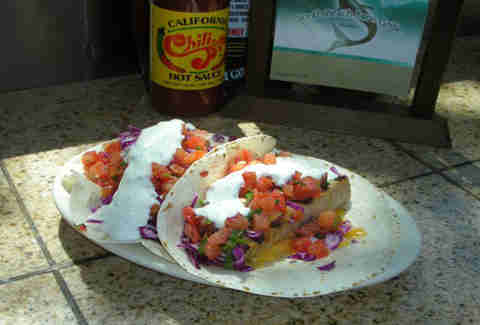 Stop 2: Kiko’s Place, conveniently located in a liquor store parking lot, has fish tacos that are both huge and cheap. Douse yours in some of their habanero salsa and you’ll be glad you’re in close proximity to a store full of beverages. Plus, there’s something called Viagra on the menu if you’re feeling frisky (or you feel like a big, spicy seafood cocktail in a plastic cup). Stop 3: Head over to South Beach Bar & Grille in OB for some fish tacos topped with red cabbage, salsa fresca, and white sauce. Don’t forget to hit up an ATM; this place is cash-only. But then again, who heads out for a taco crawl with no cash on them? Stop 4: Everyone knows Cantina Mayahuel has a ridiculous collection of tequila (just a couple hundred bottles -- no big deal), but they also have some seriously delicious grilled mahi-mahi tacos on the menu. Take some shots and get ready to move on to the next stop. 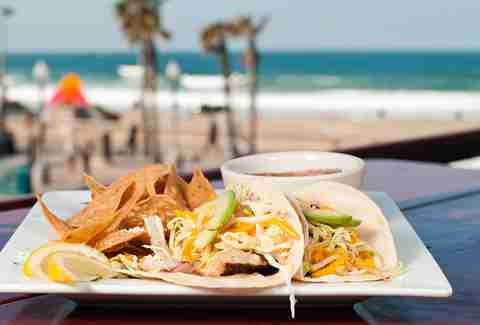 Stop 5: Go up to the rooftop patio at Sandbar to get your tacos with a sweet ocean view. Order them grilled or Baja-style, and definitely spring for the avocado. There are two more stops to go, so power up with a Red Bull slushie because there’s no way you’re tapping out now. Stop 6: This is not the time to be indecisive; customize your taco at PB Fish Shop. Pick any fish with any marinade and have them slap that on a flour or corn tortilla (so many options!) with shredded cabbage, pico de gallo, cheese, and house white sauce. Stop 7: We saved the best for last, so you’d better have saved room for at least one more taco at Oscar’s Mexican Seafood. Happy hour is from 230-530p, so get a delicious $0.99 taco and call it a day. Well done, sir. Well done indeed.